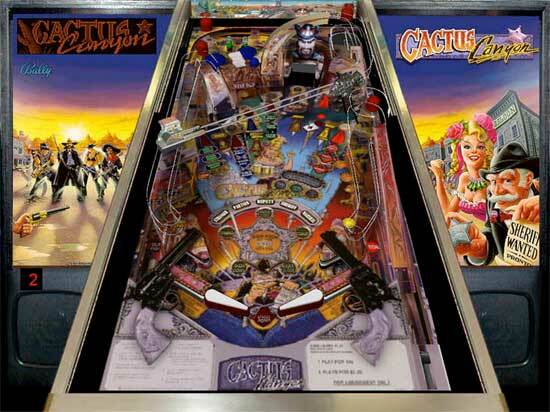 Check out these rare Cactus Canyon Pinball Machines For Sale by Bally. You will also find parts and accessories including the Bad Guy and Bad Guy Hat, Ramps, Flyer, Sound Board, Flipper Rebuild Kit, Fuse Kit, CPU Rom Chip Set, Translite, Playfield Plastics, Target Set, Mods, and Custom Target Decals. The West has never been this wild!